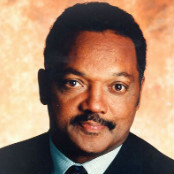 In 2000, Jesse Jackson organized this march in Chicago in part to address school funding issues. Editor’s note: Reverend Jesse L. Jackson Sr. is a leading civil rights activist and president and founder of the Rainbow PUSH Coalition. (CNN) - It has been two years since the administration’s Race to the Top education competition was implemented, and scholars, advocates, practitioners and journalists are asking whether the program has been effective. From my perspective, this is the wrong question. We must instead determine whether a contest that provides support to some but not others is sufficient for addressing the structural inequities that make separate and unequal education a persistent fact of life in America today. Race to the Top and other competitive grant programs are essentially designed to help those who can run, but our nation must be committed to lift from the bottom in order to provide equal, high-quality education for all children everywhere. Our present education policy does not meet this moral imperative. Heralded as an innovative method for incentivizing states to adopt higher academic standards, “turn around” low performing schools, improve student and teacher evaluations, and recruit and train more effective teachers and principals, the Race to the Top contest is an inherently political response to the widely recognized need for education reform. It pretends to offer a solution for all when it provides only a band-aid for some. Education policy based on the moral imperative of lifting from the bottom would address the systemic funding disparities that continue to plague schools in high-poverty neighborhoods. A legacy of the 1973 San Antonio Independent School District vs. Rodriguez Supreme Court decision, is that we continue to allow our public schools to be primarily financed through local property taxes. This is morally unacceptable, because property taxes are a function of the relative wealth of the surrounding neighborhood. The result is education redlining and an uneven playing field with a different set of rules for poor kids attending schools in poor neighborhoods. Already starting from behind due to structural inequalities, poor kids attending disadvantaged schools are also penalized through the “turn around” policies of No Child Left Behind and the administration’s Blueprint for Reform that include mass firings of school personnel and disruptive school closures that are often executed without input from parents or the community. And, new data from the Department of Education shows that poor minority students are disproportionately subjected to harsher disciplinary procedures that can have the effect of pushing them out of school before graduation. We must also respond to the crisis in out-of-school suspensions and the resulting community and school violence. We can’t keep closing schools and feeding our children into the prison-industrial complex, building jails, and expect our country to be respected by other nations. We must argue the moral imperative and build a new framework for public education in America. Our education policy must guarantee access to early childhood education opportunities to offset the effects of household poverty on student achievement and remove barriers that deny poor kids access to high quality and highly effective teachers. A new study by the National Institute for Early Childhood Education shows that funding for public early childhood education programs is steadily declining even as enrollment has grown dramatically, almost doubling the percent of the population served in the past decade.And our current and proposed policies contain disincentives that keep good teachers away from students who need them most. Many prominent advocates for education reform may believe that their efforts to link teacher evaluations to student test scores, close low-performing schools, conduct mass teacher and principal firings, and increase access to charter schools are in the best interest of poor children. But the problem is that many of these reforms are not based on best practices rooted in research evidence. Education policy that starts with the moral imperative would not allow poor and minority students to be used as guinea pigs for untested educational theories and practices. For the sake of our country, we should all agree that there should be a common foundation beneath which no child falls. Yet, too often we’ve given up on the moral imperative for the politically expedient alternative when it comes to our nation’s education policies. To do what’s best for our nation and our children we must embrace a principle that's higher than politics. We should ensure that education policy starts with morality. The opinions expressed in this commentary are solely those of Jesse Jackson Sr. 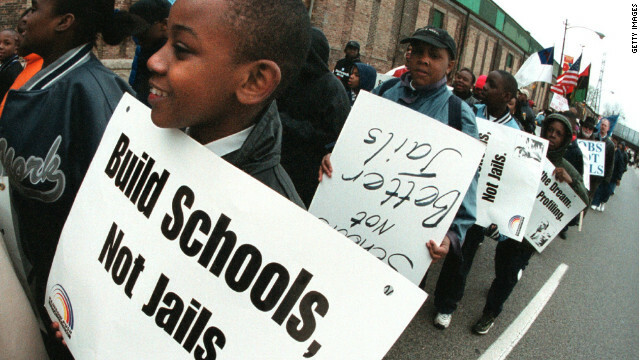 Build public schools, not jails and not charter schools. The trust is ... we havfe too many Tenured Teachers who are TERRIBLE and are allowed to stay in the classrooms and hurt our children. Teachers should not have Unions that use thier dues to pay for lawyers that protect terrible teachers!! Reading these responses makes me lose faith in humanity. Never in US history have the viewpoints of the ignorant been so amplified. Morons have always existed. It's just that now they can share their thoughts on every single news story for the world to see. It used to be that fools, racists and crazy people could pretty much only share their viewpoints with their family members and close friends. Now, the entire world can witness the ignorant underbelly of America. Well, if a child doesn't want to learn, he won't put his mind to his books. Let him fail, and let him deal with the consequences. Hey Jackson.....dont you have a racial riot to start with your buddy Sharpton somewhere? You speaking about "morality" is like Assad speaking about "decency". You petty little Critical Race Theory lobotomized, opportunistic racist. Hey, Jackson......how do you explain this?????? From the MERCATUS Center/George Mason University. Veronique de Rugy | Dec 20, 2010"
"This chart by Mercatus Center Senior Research Fellow Veronique de Rugy compares K-12 education expenditures per pupil in each of the world’s major industrial powers. As we can see, with the exception of Switzerland, the United States spends more than any other country on education, an average of $91,700 per student between the ages of six and fifteen. That’s not only more than other countries spend but it is also more than better achieving countries spend – the United States spends a third more than Finland, a country that consistently ranks near the top in science, reading, and math testing." I live in a city where the minorities were mainly on the North end, and the upper middle class on the South end. Schools on the North end were failing, while schools on the South end were near perfect in graduations and testing. So, the city decided to make a low income housing section on the South end and also bus kids from the North end. Over the next few years, a couple of schools closed on the North end and there is overcrowding, low graduations, and low scores on the South end. Alot of the families on the South end moved out to the County schools around the city, which have seen an uptick in scores and graduations. Hmmmm.... is there something to learn here Jessie? I guess I should have added at the end – "The Moral Imperative" starts at home. I would've thunk that "Race to the Top" would be something the rev. would like. After all, he always puts "race" to the top of his list of grievances. be the moral imperative for education policy. MOVING FORWARD To total depravity !!! A Texan complaining about pushing for a state religion..now that is funny. Let me guess, your bible warned you of this right? Three degrees and how many affairs? He just likes to keep his name in the news, too bad that no one cares about him any more. He did did anything constructive anyway. Remember the lyrics to a song by James Brown "SAY IT LOUD,,,I'M BLACK AND I'M PROUD"!!! Codespeak for the dumbing down of America so that blacks can pass the standardized testing. Education begins at home, and being reared by an uneducated baby mamma on taxpayer support with no discipline, no role model(no baby daddy), and no sense of responsibility is not a winning combination. And blaming the education system and teachers will not work either. America spends more on education than any country in the world, yet we are ranked 25th in math and science. Neither money nor legislation can instill willingness of the student to learn or make them have the drive to put in the hours of study that are required to achieve success. City of Detroit gets more money per pupil than any other school district in Michigan and yet because of poor motivation, ignorant parents unable or not wanting to help their children learn, the negative peer pressure, all lead to the same negative results with a cycle of poverty and misery. Bill Cosby has more positive things to contribute to the need to remake Black Culture to emphasize learning and honor and responsibility. Jessie is just another race baiting panhandler who keeps blaming others for the lack of progress in the inner cities. He is an enabler of incompetence.More and More Black Pastors are preaching education and deriding negative peer pressure and childhood pregnancies. Why does CNN pander to this narcissistic, irrelevant, lying, corrupt phony? And he TRULY earned how many of the three? The illiterate O.J. Simpson (and we know he was based on his notes to Nicole) "earned" a college too – so what's your point? Truth – You just might be my neighbor!!! LOL p.s. I'm Black & Proud!!! I agree with the comments on parents being a key factor in this process. The problem with education goes far beyond parenting. It, as everything else in the world, is all about money. 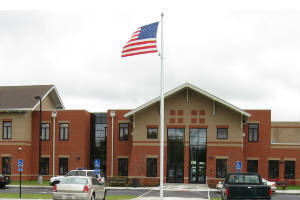 School districts get funding based on students achieving certain criteria. Education has become all about money and not about the welfare and education of the students. In addition, governments role is to ensure we teach students how to be a drone in American society. They want obedient workers, not free thinkers. Up through high school, the goal is to program kids in the story of the American dream (which you have to be asleep to believe, as George Carlin would say). In college, the goal is to get students so far in debt that they are forced to become part of the system as the banks and corporations now own them until they pay off their debt. What this country needs are schools that actually teach kids to think for themselves and utilize/support the skills they have. I know so many teachers that are frustrated that they can't teach the best way they know how and are forced to submit to the will of the board. My friends son goes to high school all day, then has 4-6 hours of completely useless homework which he does until 11pm every night. This whole system is a scam. I am a black man and I am willing to challenge you intellectually in any field of your choice. There is a BIG difference between degrees that have been earned and those gratuitously awarded. The first is the result of an individual's effort. The second is a gift that required no effort at all. As long as the citizens of this country vote (irrespective of their race, religion, or ethnic heritage), they will require the education necessary to make informed voting decisions. We should ensure that our children have that necessary education to fulfill their responsibilities as citizens. That education, and the desire to learn, begins with infants and toddlers at home, and continues as children grow. That means that PARENTS – not the school, not the government, and not the church – directly affect a child's education and desire to learn. Without parents doing their part, everything else is remedial. And remedial in education is expensive, time intensive, and has a less-than-satisfactory track record. So let's focus our efforts on where they will produce the best results – teaching parents to be the best parents possible, especially when it comes to education. Spoken like the stupid racist you are! Hey Klannies, watcha all doing hanging around here? They might be missing you back at the fiery meetings. Oh, unless you're just textin' from under your long white dresses, you know, where you're normally playing with each other. Pulling out the Race Card again. Poor old me. Head Start has been proven, by independent research, to be a flat failure. I do not expect this to be any better. The Federal government needs to STAY OUT OF EDUCATION. Parents need to get involved and stay involved. And, not ALWAYS take their child's side against good teachers. There are a few good ones out there. Let them teach. Get rid of the worthless ones. And, provide some kind of stable home life where kids have to do homework, study and accept responsibility for their actions. And, the parents should take responsibility for their children. Moms AND Dads! Spoken like a white supremacist. Jesse, the country needs ditch diggers and there are some kids who just can't do any better than that. It would be awesome to see a professed spiritual leader and representative of black culture like yourself addressing the growing culture of violence fueled by hip hop and gangsta rap. How about waging a war within where it is needed most? Your response is ignorant, poorly educated, poorly informed, and deeply bigoted. Can you present proof of this, or d you assume that you, because of your race, have some inherent superior intelligence? And don't run to the writings of a warped racist half wit like Charles Murray for an answer – he is still trying to show that America is on the decline because people don't have the values of the 50's, of course during that period when people like my relatives, decent, hard-working, with values at least as honorable as you presume yours to be, while visiting and living working in the South including your neighborhood, used to hear comments from people like "Daddy, look at that n..., lets shoot him," just for walking the streets home from work ... and I guarantee that many of my relatives who have ever tested have IQs well above theat you quota as your average. Please leave your nonsense at home – racial polarization has increased enough from the current public and political race-baiting, currently in coded language and using the same freedoms of speech granted to every American, mostly at anyone with a certain skin color, andd with the unspoken stereotype of American minorities that they would be too stupid to fight back (re: Limbaugh, etc.) that it is fast becoming a return to some of the worse undercurrents of the long-past decades of American life. You can build the best schools and spend all the money world, it amounts to nothing if you don't have students that want to learn. This is very true! we live in a (for the most part) affluent society and unfortunately many students when they get to middle high school level fail to want to learn, because the bills are paid, they are fed, clothed and have bling bling cell phones (all provided by someone else) so why should they have to learn they're taken care of right? Try again in English. You probably would not help a school meet the goal in the Race to the Top. @ mmanr1918. In case you didn't figure it out, I was talking to you. The solution lies with the students themselves. You can lead a horse to water but you can't make him drink. We need to stop telling kids the problem lies with everything around them. They're passive and raised to believe someone else is supposed to solve their problems. Everyone knows black men dont take care of thier kids...get over it, more prisoners more tax money. jesse your a bigger joke than that clown obama. Why don't Jesse Jackson, and his ilk, address the bigger problem of the black community? Jesse why aren't you down there in Auburn addressing one of the biggest problems of the black community in this country. Specifically black-on-black murder. Next to the 70% illegitimacy rate (are your child support payments up today on your little out-of-wedlock baby Jesse? ), homicide is the biggest problem of the black underclass. Is that picture 30 years old or what? Plenty of white families are ‘broken’ homes and they do just fine. It is the quality of the parent not the quanti.ty. You do not have to be married for both parents to be involved. One major difference is that in most of these black families the father is absent, both financially and parentally. For all your bleeding hearts out there that would call this racism. Ask yourself why the leader of the free world had to go on national television to ask black fathers to take care of their kids. It is a shame that Jesse will not speak for social and individual responsibility in the Black Culture in America. This is the problem. It is part of the problem but it is not the only problem. He makes some good points. This is about socio-economic issues. I do agree that personal responsibility is a serious problem. Personal responsibility is the ONLY problem. The socio-economic issues are a result of a complete lack of personal reasonability. Anything else and you are just making excuses for bad behavior and are part of the problem. Wow! One of the biggest racists in America lecturing us about racism. Is this a great country or what! Jessie.. you creep me out..
Ok "Truth", you came in ...spewed your hate...now get out! Have a good day! Sorry your opinion no longer matters as you as you are a phony. Any more children out there to tell us about? Oh no, "Truth", we never thought you were human. I question the position that the moral imperitive is on the part of the Federal government. I see no evidence that the participation by the Federal government in local education matters has improved education standards for anyone. In California, we all work with the understanding that we can be let go without cause ( "at will"), as long as the reason for being let go is not in violation of a civil right. However, teachers enjoy a status where they cannot be let go even when their students complain of inadequate teaching ability. This is simply unacceptable. Until we hold our teachers to the same standard that everyone else must meet in the workplace, I cannot see how things are going to change. Throwing money at the problem has not solved anything. Throwing more money at the problem would be insane. But, we are not throwing money at education in California. We have stripped billions of dollars out of the Education budget and continue to bleed it every year. Jesse note education starts and ends at home. Until parent participation is a directive nothing will be accomplished. Money is not the answer, what happens in the home is. Talk to a teacher from a district in a low income area and listen to what they say. Parents smelling of alchol while dropping their kids off in the morning, never getting homework assignments in, the list goes on. If you don't believe me ask a teacher. Lets not get into the unions protecting the bad teacher he wants to replace. This whole article is a joke and another game to redistribute wealth as a means to an end. Until you fix the unions there is no fixing the education system. I have my children in private school because of the poor education system I am in. My highschool had the largest drop out rate in Washington State last year and lowest test scores. So I pay taxes and and have paid them while single and still do not get the benefits of these tax dollars. Why is my house worth more then my neighbor? Because I upkeep mine and have made improvements to my home raising the value. I did not trash my house, nor do I leave garbage on my lawn. In turn this brought in more tax dollars does anyone else see a trend here? Jesse Jackson and people like him I suppose still don't understand that they are actually CREATING racism. We need to get rid of black history month, or any month that celebrates group of people based on color and start focusing on "people accomplishments." You single out a group for any reason and you are creating a division. Everybody wake up please. Funny D-wad, but I don't see JJ spewing anything here that could be construed as "hate". By the way I'm a white 2nd American of Hungarian descent...so don't pull any race crap on me. You call this hate speech, well my friend, then Rush Limbaugh is Satan himself. Amen to dat brotha! Nuthin but a buch of race baiting fools. Remember what that black alderman from Jesse's hometown of Chicago said about repairations.... Man, I want 40 acres and a Lexus from the White Man. He ignores the historical fact that African black men sold more black men as slaves than the white man did. in particular the hatred that you have in your heart – otherwise the cancer that you have on the inside of you will begin to spread to your other vital organs (it's already affected your heart & mind and you'll find yourself on a bed of affliction (death bed) and you will die a slow death so you can be tormented – then after you die physically – you'll end up in a burning hell – and then after you stand before the Lord Jesus to answer for all of your nonsense and foolishness you'll be cast into the Lake of Fire – and it'll be too late – REPENT why you still have time – ask Jesus Christ to forgive you of your sins and to wash you – real good – and apply the blood of Jesus over your heart & mind and to Save you – You need Jesus! Consider yourself as having heard the Good News of the Gospel – you'll be without excuse. Bet you didn't even read the article. Just came here to spew your hate. Now..go away. Jackon and Sharpton are professionals at creating hate and racism. I lived in China for ten years and saw Chinese students in pitiful school conditions outperform foreign students who had marvelous facilities and teachers who were paid 20 times what the Chinese teachers were. A student who wants to learn will learn in a cornfield. A good education system starts with parents who make sure the child wants to learn, encourages him/her and makes sure that the student does his homework, focuses on his studies and rewards him for good performance. If parents spent as much energy encouraging academics as they do sports, our education system would improve greatly. The second component is discipline. We have stripped the schools of nearly every means to enforce discipline. Corporal punishment is no longer used. Anything which would smack of humiliation is banned. What is left? Suspension, detention and expulsion. These are rewards as much as punishments. Effective means of enforcing discipline is required. You can have the greatest facility in the world, but if the atmosphere is chaotic, nobody will learn. The third component is good teachers. While this is often cited as the most important, it is not. A motivated student in a disciplined environment will bring the best out of almost any teacher. We need to have systems which allow the bottom performers to be quickly removed from the system, but most teachers want to teach and share what they know. If the students are motivated and the administration allows discipline to be enforced the teachers will begin to perform at superior levels. "You heard the man, stop putting money in education!" Your heart is in the right place, but good golly do you have it all wrong. You can't take one possible situation and pretend it mimics them all. One more point. Parents need to stop rushing to Johnny's defense everytime something goes wrong. They need to teach them to deal with problems. Sometimes life is not fair. Deal with it. Do not go to the school and demand that everything be changed so that Johnny has a fair shot. Teach Johnny that it is up to him to overcome whatever obstacles are in the way. Parents that do this raise kids that will always succeed. The other types raise kids that will constantly complain that "its not fair". You are absolutely correct and in the right order. It's not that hard to figure and yet it seems to escape the majority. Most attention from the critics is directed at the teachers. That's the easiest target because some are not good but they are generally few. Education and respect for education starts at home. When the parents don't care, neither will the student. Politicians don't want to blame the parent(s), they vote. Prisons used to fill the parenting void by providing the school of hard knocks. Prisoners used to earn their keep and contribute to society while serving their time through farming, building roads, etc. They learned how to work and earn a living. Now the prison system isn't reforming anyone. These jerks come out being bigger jerks. Well Frank...in this crappy economy, the product of two wars and the failed policies of the Bush era, who the heck will hire them!??? You answer that one if you can...there are millions with no prison records who are out of work and can't get a job, So what chance DOES a former inmate have these days? Better to be re-incarcerated and at least get 3 meals a day. Why doesn't cnn and other liberal news media report the deadly black on black crime? Sadly Rev. Jackson is nothing but a rich man prying on the poor blacks while race baiting! Its been deemed taboo in the liberal media. Schools have pushed to be part of the Race to the Top program. Teachers and parents are working together to become participants. They are learning to work together and to challenge the students to do better. It is very exciting to see the children doing better and feeling good about themselves. We might not need these programs once parents, teachers, and students put forth the effort to do well. It can be done and it is being done. The success stories will filter down to other schools and perhaps they will try to emulate the successful schools. Instead of writing diatribes against Jesse Jackson, the teachers, the parents and everyone else we might want to offer our support to our local schools. Is there something we can do to help? May we come into the school to read with children? May we do a special assignment or hold workshops. Once everyone starts working together there will be improvement. No matter how good the teachers or principals might be it still takes complete cooperation to make a place succeed. Those which do should be receiving our applause and support. Those which do not must be pushed to do better. All of the racist comments do not help. Neither do the put downs in various comments. That is the perfect example of why this country is not moving ahead. We blame everyone else except are ourselves. "grant programs are essentially designed to help those who can run, but our nation must be committed to lift from the bottom" It's time for the bottom to lift! We've been lifting for 50 years and there are only more to lift as a result. Rev Jackson and our politicians have paid these people to produce MORE dead beats. Al Queda and corrupt finance CEOs can't touch the economic setback these jokers have subjected upon the US taxpayer. Trillions spent on digging the hole deeper! CNN should be ashamed that they are promoting this lying, racist black's views. This shows what the malicious bigots at this network think. You can throw a billion dollars per child at education, but it is all a waste until you have competent parents, better role models and a local social culture that demands excellence for themselves and their children. I remember that Jesse once admonished his young people that they have, "Calvin Kleins on your behinds and nothing in your minds." This kook is still around? I thought he'd have taken the hint that nobody cares what he has to say a long time ago. After he was proven to be nothing more than a hypocrite his credibility sank faster than the Hindenburg. When bad teachers in the unions can be fired and when hanging out is less important than being in the class room nothing will change. Lord have Mercy – Shame on CNN to put this guy on.. look at the picture.. Look at the flags – they all should be carrying American flags.... i feel for those sheeps who following this Reverand....... This article have no real solutions but bunch of whyning!.... wonder who really wrote this article..
Ahhhhh Jesse Jackson ..... One of the biggest racists on the planet. Nice timing CNN. Almost as fair and balanced as FAUX news. What a pity. The right question on evaluating anything is always: Is it effective? In terms of education, a good question might be, what has a history of being the most effective at improving education quality? The answer has never been to throw more govt money at it, so enough with the appeal for more money or more taxes to fund education reform. Ask the right question to get the right answer. Getting parents and families more involved with education always improves the quality of education because of the inherent accountability. Reducing the power of teachers unions is the first thing to do - they are not accountable to improving education so they are a barrier to it. Incentivizing parental choice with things like charter schools and school vouchers gives the families and students incentive to improve their education, so those are likely to improve education quality. Throwing more money at schools won't improve education any better than it in the past because it's the wrong question. Seeking victimhood by economic or racial status won't improve it either, it's asking the wrong question. Find out what is effective and do more of that and less of what has been shown to not work. The Rev. Jackson's whole theory is based on the flawed idea you can buy education. We pay 8 times and more for education than what is paid in countries such as India and China without anywhere close to the same results. Why not? We offer free education to all who want to take advantage of it. It's time for the people like Rev. Jackson to admit the problem is not inside the schools but inside the homes of the students. Teachers get little to no respect or support then have to listen to this nonsense. Get it through your head Jesse. No obama dollars! AND PEOPLE OUT HERE KEEP SAYING PARENTS ARE THE KEY......I SAY THAT IS BULL. THE LITTLE HOMELESS WHITE GIRL THAT WAS IN THE NEWS LATELY IS GOING TO HARVARD AFTER TEACHERS CHIP IN MONEY TO HELP HER WITH FOOD AND EVERYTHING ELSE. SHE WAS HOMELESS AND DID NOT HAVE ANY PARENTS AROUND, WHAT SAVE HER WAS THE FACT THAT TEACHER DONATED HEIR MONEY. Congrats to the young teen who lifted herself up after her deadbeat parents abandoned her; however, she is not the norm. She is an example of what today's youth should be. Strong parents and a good stable environment are what is needed to get these kids to learn. Jersey Shore and the rest of the silly shows that kids watch are not helping. Parents who would rather be best friends with their kids instead of actual parents do not help either. We have a generation of lazy, expectant kids that are being raised and WE the parents are to blame. Well...the rest of you are, at least. You don't think that parents are the key? Yes this young lady had no parents around to help her but who then became her parents? The teachers did! They provided her with support and good role models. Something every parent should do. KEEP UP THE GOOD WORK JESSE.....I LOVE THE WAY THAT YOU ALWAYS ENRAGED THE RACIST ALL OVER. RACIST PEOPLE CANT STAND JESSE, BECAUSE HE TELL IT LIKE IT IS. I agree with Jesse, we need to fix the poor minority problem. 1- stop the "inner city" kids from having babies at age 15 and the "baby daddy's" from having babies with whom ever will have them. 2- keep the pants on the inner city girls so this can not happen. 3- make sure both parents to this generation pay attention to the kids they brought in this world, helping with home work and just being a good parent( this will be tough since they are out selling drugs and robbing people, but it is worth a shot. 4- Make sure none of the kids get in trouble, fights, arrested, or are doing drug by having the parents take care of their kids. 5- Stop them from investing in gold teeth, gold necklaces, expensive cars they can't afford, and over priced clothing so they look "down".6-Invest in your education, and your future and it will come in your 30's and 40's. 7- Learn a skill set to have some type of goal for advancement besides the NBA or NFL. 8-Don't reproduce until you can take care of yourself and pay all your bills on time including clearing your credit card each month. I hope Jesse get's on this plan as quickly as he and Sharpton show up at any event they can stir the racial pot. Your comment is board line racist. No one will ever take you seriously until you learn to get along with your neighbors. Mr. Jackson speech is not the reason we have failing schools. We have failing schools because the system has failed. Teacher's don't care anymore, parents want to blame teachers instead of looking at their own failures and for whatever reason, the democrat party seems to believe that throwing millions of dollars at a failed school system will fix it. To many of you uber libbies are the reason why the system has failed. You're to worried about how your child "feels" in their school environment when you should be more concerned with how they are learning in their school environment. Fashion in school is more important these days than learning. We have more teachers discussing their political beliefs than actually teaching. It blow my mind when I ask a high school kid "how many states are in the union?" and the response I get is 52 including Hawaii. You want to improve education?? Quit making it the "social" hangout. UNIFORMS are a MUST. They shouldn't be in school to determine their individuality; they can do that on their OWN time. Parental involvement is key. Parents AND the student MUST be held accountable for their child's education. We are paying for this education...it should be the responsibility of the parent and child to use it properly. If your child isn't doing their homework and is failing...then BOTH child and parents need to pay a portion of the school bill. The child should be required to do community service to pay their bill until their grades are adequate. Kids need to learn that their are consequences to their actions (god know the parents are teaching them this). Finally someone talking about helping from the bottom up. Because the trickle down Reagan years, and the taxes for the millionaires and billioneaires, our so called job creators with no jobs creating, one can begin to wonder is anyone seeing what I am seeing? The Bush policies did not work and Romney wants to return to those very policies. Public education is under attack. If you want to see some top down welfare, wat and see what happens to public education if and only if Romney wins. Vouchers distirbuted to wealthy families to pay for private schools and the like. Raiding public education coffers is the anchor to separate but unequal. Yes, because the U.S. hasn't created any jobs since Reagan and the country has just been in ruins. Please. The poor and uneducated in this country have no idea what it's like to be really poor. If someone needs help there is tons of help in the U.S. for education, food, clothes, etc. Stay clean and don't be a criminal and you'll get the help. As far as raiding public education. The unions have been doing that for years. This countries problem is that everyone seems to be owed something. What, I don't know. Bunch of babies. Seriously overwrought response. Nobody is looking to give vouchers to rich kids or loot the public education coffers. All of the problems we face in our public school system start and end with the teachers' unions. Look at Chicago for a classic example – teachers are going on strike next year if they don't get a 24% pay raise. This is in the middle of one of the worst economic environments of this generation. These are the people that are so heroic? People like Jesse Jackson are selling out their own consituents in exchange for union influence and money. Leave stereotyping and exaggerating to Fox pandering to it's sheep. Not all teacher's unions are bad not all teachers are bad or good. Not all parents are bad, good or great no matter where the live. More money won't fix schools, but less will be worse. School Boards are the real problem. People who are elected by their buddies who know nothing about education dictating policy for whole school districts, taking the power away from the individual school principles who know what they need for their schools. Let's not forget about advanced students being dumbed down because there is no money for providing challenges to them. Forget Romney and his 2 parent stable home solution. Not happening in most of the country. What is the difference? Mostly the money the parents have to raise their kids, single parent homes are everywhere. Jobs pull people out of bad environments, as does community will to do so. Let principals ask for what they need, not hand out what they don't. There is so much evil hatred in these posts, it is really depressing, apparently you all did so well in school and you and your kids are such model citizens that you feel you can spew self aggrandizing sickness. get out of here, you white trash pretending to be black. No ambulances today Jessie? Education isn't moral – it's social. The fact that you still fail to grasp that simple concept is a prefect example. The fact is that far too many minorities don't make education a priority for their children. They don't lead by example. They spend more time in and out of jail than raising their children. And this has somehow become socially acceptable to that demographic. That's the issue Jessie......no go have dinner with Al. Your statement that education is not valued does not only apply to minorities. As a society, we talk a good game about how much we value education, but our actions speak far louder than words. I know quite a few parents who over-commit their children to social activities, make sure they have all the latest gadgets, can't be bothered to attend a single PTA meeting and wonder why their children don't get their homework done and have no interest in learning. And all of them are white, as am I. If we want our kids to believe that education truly matters, we need to simplify their lives and their schedules. We also need get involved in our communities and schools. Spending all the money in the world will never make up for a lack of educational direction at home, from the parents, starting when our children are babies. Blaming the school system for parents not doing their JOB as parents is like blaming the airbag for causing a drunk driver to get in an accident. Come on Jesse, you should know that kids that grown up in households that care, support a learning environment and push their kids to academic achievement achieve regardless of the school they go to. Stop blaming the schools and start blaming the parents – where the blame belongs. white folks, and is colored blind. He is a total joke....I am so sick of him & his hypocracy. The biggest racist in the country . Cheating on his wife at the same time he was supposed to be councilng Cinton for cheating on his wife with Monica you got to be kidding. I can't believe people even listen to what this guy has to say. "A legacy of the 1973 San Antonio Independent School District vs. Rodriguez Supreme Court decision, is that we continue to allow our public schools to be primarily financed through local property taxes. This is morally unacceptable, because property taxes are a function of the relative wealth of the surrounding neighborhood." Please explain to me what is incorrect about this statement. I keep hearing what the government has to do to fix things and keep kids out of jails. Whatever happened to parenting. Why is it the governments job to make sure our kids arn't thugs? Why isnt it OUR job. Im tired of my community copping out and blaming someone else for our problems. If we dont take charge and work to fix things ourselves, no one else is going to do it for us. You have an ideal that if your a minority your already behind the power curb which is a load of BS. Yes your looked at differently by the ignorant folk out there but you are offered so much more just due to being a minority. If you let the whole ideal that "No matter what you do because of of the color of your skin, your ethnic, your religion, or your social life is holding you back!" Then you've already lost. Those who exceed standards and don't let anything hold them back no matter what adversary comes their way are those who succeed. People like Jackson and Sharpton tend to bring back up those ideals that hold other black people back so they can hold black people back to keep their positions. Imagine if we lived in a world where all people were accountable for their actions and RE-ACTIONS how much further we would get and wouldn't have use for Sharpton or Jackson 🙂 Thats the world I want! It's now an old game, it called "race hustling." These guys and the SPLC make a living by exploiting racial issues, and from a black supremacist point of view. Thank you, Reverend Jackson, for your service to the poor and disenfranchised in America and for human rights globally. Your voice is still needed. I think not. Sorry Jessie, time has passed you by. You no longer have any credibility. Do you believe the majority of the Asians and even African blacks arriving in the US had a clear cut advantage compared to the opportunities here in the US? Stop blaming and start sacrificing a bit....no iPhone, no X-Box, no $180 Nike tennis shoes.....and get some damn health insurance for the children. What's wrong is this hypocrite immoral pervert and the clown in the White House. There is two kinds of slavery going on here, and neither is the slavery you are refering to. Slavery to the government: The poor (white, black, or latino) are enthralled by government handouts, very much like a plantation. They work the polls for the liberal establishment providing votes and voices. 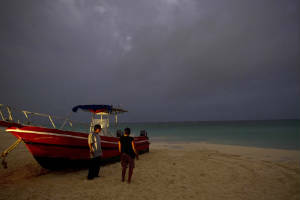 They are given a pittance – enough to survive on, but not enough to leave the plantation. Slavery to themselves: These kids' families are failing them. They are failing themselves. They are more interested in having a good time than buckling down and getting an education. Why make sacrifices when you can have fun – and after all, the plantation (see above) will take care of you. I know this from personal experience. I graduated from a HS that was 99% minority. The teachers spent much of their day telling the students that they didn't march for civil rights just so these kids could p_ss it all away. Those students who did hit the books were the few to succeed. Interestingly, these were the same kids who were teased, taunted, and ridiculed as sell-outs. just what we need is to listen to him about the "moral imperative." He wouldn't know it if it bit him in the face. I think building schools not more prisons is a good thing. Only the cost of the extra steel and concrete not to mention the barbed wire. Then more "teacher's" known as guards would have a job. Every one get's the same treatment. Agree that Race to the Top is just another political and non-effective solution to the problems of public schools and is not a solution for how they should be funded. But the solutions offered by Mr. Jackson, which translate into increasing funding to lower income districts at the expense of middle income districts, do not translate into higher performing low income schools. Nothing will change until parents are forced, somehow, to accept responsibility for moral training of their children. Education has to be given value at home. In much of lower income America, it isn't, which is one reason why upward mobility is such an illusion. Of course, racism, lack of opportunities, lack of creative national solutions, and economic chaos all contribute as well. Conservatives are under the delusion that anyone can pull themselves up and seek a better life. Liberals are under the equally misguided notion that it's everyone else's fault and responsibility. Both views are helping us dig deeper ditches for our nation. We should be offering more education to parents who want it. I know a guy in Houston who has 6 kids, unmarried, with 3 moms, high school dropout, no job (ever), arrested 12 times (currently on trial again for drug posession). His kids are on the same path- like father, like son. That is the "structural" problem- the family, not the schools. I don't blame him, he's got the maturity of an 7th grader (he's 29). He has to pick up where he left off. Deep down, he means well. He just doesn't know how. I'm similar, yet the opposite- my father died when I was young, so I had no mentor, but I was lucky, and am doing ok. No kids, six figure salary, college dropout, small business owner, never been arrested. I actually wrote to Cornel West and Tavis Smily last year- still waiting for a response. That guy needs to learn what a vasectomy is. Dummbo kids in that photo don't even know what the English language looks like right side up. It's long over due for us all to admit that the government already provides extensive educational opportunities but that the government can do nothing to motivate students to learn. If children are failing in school it is because they and their parents don't want to take advantage of available opportunities. The government can't infuse them with ambition. Throwing more money is the same as pouring more and ore money into the thirdworld. Pointless. When you have "parents" who don't give a crap and kids doing drugs, joining gangs and reproducing at a very early age, more money is not the answer. The black community has a history of always blaming someone else (whites) on their failings. Race to the Top is a great program if you work in a low-performing school and have a lot of room for improvement. But if your school is already great, there are less opportunities to improve. Low-performing school can earn huge rewards by making a few changes to bring up standardized test scores. But there are no rewards for consistent excellence from schools that have already worked hard to become great. Race to the Top rewards schools that have had low standards and ineffective teachers and administrators. It's like rewarding an alcoholic for finally getting sober after years of being a drunken bum.